Fertility treatments should be publicly funded, an expert panel found following a year-long study on infertility and adoption. The report, titled “Raising Expectations,” suggests that Ontarians are making poor choices when it comes to seeking services to help reproduce, mainly due to the high cost of such services. 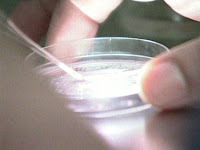 Some opt for treatments that transfer numerous embryos at once, which is more likely to result in multiple births. The panel suggests the Ontario Health Insurance Plan (OHIP) cover three cycles of in-vitro treatments for women under the age of 42, and include infertility clinics in the public system. The full report is available at www.ontario.ca/creatingfamilies.